Home » Gardening Tips » What mulch is best? Red mulch, black mulch, brown mulch… aren’t they all the same? No, they are not all the same. So I will explain how they vary and where and how you should use each one. My favorite mulch is hardwood bark mulch. To better explain this I made a movie for you. In the movie I did not mention Pine Bark Mulch. I Didn’t have any handy! Pine bark mulch makes a good mulch for mulching planting beds and it’s also a great additive or can even be used as the base for a good potting mix. Pine Bark mulch doesn’t break down as quickly nor does it contain the nutrition that hardwood bark has, but it’s still a great mulch to use for growing and potting soil. Actually here in Ohio pine bark is hard to find unless you buy bags. But the local nursery growers here like it so well as a potting mix they actually have it trucked in from North Carolina 90 cubic yards at a time. Red Mulch Black Mulch and Brown Mulch that has been dyed to obtain the brown color. All of the impostors are dyed to get their color. The impostors, as I call them, are mulches that are made of ground up wood, usually pallets. These mulches contain little to no bark at all and are 100% wood. Wood might be okay as a mulch to keep down weeds, but not only do wood mulches contain no nutrition for your plants, they actually pull nitrogen from the soil and the wood decomposes. Once the pallets are ground up to look like mulch, the ground material is dyed so it has a deep color. Today a lot of people like these mulches because they are red or black in color because of the dye. Tha’ts fine, and using this kind of mulch to mulch the beds around your house is okay. I don’t like these wood mulches for several reasons. One, the mulch floats out of the beds too easily and is always all over the sidewalk. Plus these mulches really don’t break down all that well. I want a mulch that is going to improve my soil, not pull nutrients from the soil. But as a mulch they are okay. In potting mix they would be disastrous! Tree trimming service produce tons and tons of wood chips and they are often looking for places to get rid of all of this mulch so they offer to drop a load off at your house free or charge. Wood chips from a tree company are okay for mulching pathways in your garden, but that’s about all I would ever use them for. They contain a great deal of ground up wood, leaves and twigs. It takes this material a long time to break down and as it does it will pull nitrogen from your planting areas. But more importantly, wood chips contain no nutritional value therefore really do your garden more harm than good. If allowed to rot for a period of many years, they might be okay. But they are not something I’d ever use in a planting area around my home or in my nursery. They’re great to use over a muddy path. For that they are wonderful. Many supply yards that sell mulches also sell compost. Compost can vary considerably from supply yard to supply yard. For the most compost materials are great for the soil. They really don’t make the best mulches because they are really fine textured and contain enough nutrition that weeds will grow right in the compost. So compost materials shouldn’t be used as a mulch, but they are great for adding additional organic matter to a landscaping bed. Most compost materials are made from leaf compost, maybe mushroom compost, and sometimes the include material from sewage plants. It’s important to know for sure what’s in the compost that you are using. Should the compost that you buy contain any material from a sewage plant you should not use it in your vegetable garden. Pine Bark Mulch or Pine Fines. Pine bark mulch or pine fines as it is often called is great to use in a potting mix if you can mix something with it to hold some moisture. I use about 75% pine bark mulch in my potting mix. Recently I made this video so you can see what pine bark mulch looks like. Can you please tell me where we can purchase hardwood bark mulch? Also what the price is? You really have to call around in your local area. I have a large pile of hardwood grindings from having some hardwoods taken down several months ago. They were from branches, not from the big trunks which were hauled off. If I fertilize the plants around which I am putting this mulch, will that counter the nutrient ‘theft’ of the mulch? Or should I follow your advice and use it for paths? It should be fine as mulch. Chips on top of the ground don’t rob as much nitrogen as we once thought. Does anyone know where I can get Right Dress Licorice Root Mulch in northern NJ. I use to buy it at The Farm but they no longer carry it. I find it to be the best. I can order it through Lowe’s but it’s only available by “truck delivery”. $7.39/bag (that’s OK) plus $85.00 delivery charge – yikes! I’m a 64-year-old landscaper who grew up in the business. I’ve come to a lot of the same conclusions from experience and appreciate your tips. I stopped using fabric in gardens many years ago and since reading your suggestion about newspaper, that’s what I use. I agree with your mulch assessments but sometimes can’t talk my customers out of their favorites, especially the dyed mulches. I dislike them but when the hardware/home improvement stores run frequent specials of 5 bags for $10 it’s hard to convince folks to pay up to $5 a bag more for the better mulches/soil conditioners. I pick my battles. I absolutely put my foot down when it comes to rubber mulch, cocoa mulch, and Milorganite. I will not use them. Since we have high clay content soil, I use a lot of pine bark mulch. Some years I do use a good compost mix as mulch to feed the soil but the next year go back to mulch. I haven’t noticed a huge increase in weeds using compost but I’ll watch for that. Some customers like the lighter colored mulches so I use cedar for that and instead of the brown dyed mulch I try to talk folks into the hardwood bark mulch. I used hardwood more often when I was younger. I put one of the 3 cubic foot bags on a scale once and it weighed 70 pounds! I just can’t lift those any more without paying for it later in sore arms, legs, and back. Hardwood mulch is definitely my favorite but it’s harder to find and often available only in the 3 cube bags, so I don’t use it as much. Thank you for all your great information and folksy charm! I finally gave in to my wife and bought dyed mulch. Black in color. I like it because it does hold the color far better than hardwood bark mulch. I think these days hardwood bark has more wood in it than it used to and it fades to an ugly color. Rubber mulch? Terrible, terrible idea. Thank you for reposting your mulch video again. My problem is that I’ve bought all the wrong kinds. One problem I am having is the rain down pours, normally wash any bark away. I’ve put edging up to help stop it, but it’s a constant battle raking it all back. Any suggestions? The only time I have mulch move is when the sidewalk fills with water and floats it away. In a raised bed? It’s never moved. The thing that worries me about hardwood bark mulch is the possibility that it will contain bark from walnut trees. Walnut trees, of course, contain the natural plant poison juglone, which is why it can be so difficult to grow plants under or near walnut trees. Comment? All I can say is that I grew in hardwood bark mulch for years and years and mulched over 1,000 landscapes with hardwood bark mulch over the years without issue. I would consider it something not to worry about. I am in the Pacific NW and everyone that I’ve talked to (fancy plant nursery to bark distributor) thinks I’m crazy asking for hardwood bark mulch. All I can find is a mix of trees (mostly fir and pine bark) or the regular bagged stuff (dyed, cedar or beauty). I want it for my garden and my trees. Is this because of my location? Is there a bagged product that I should look for? What do you think of hemp mulch mats? Yes, location makes a difference. Pine bark is awesome, we use it in our potting mix and pay a premium to get it. The fir bark mulch is probably fine as well. I no nothing about hemp mulch mats but they sound to thin to be effective. ??? Great advice on mulch. I was wondering if mulch attracts/causes carpenter ants? Also, should last year’s much be removed every spring and re-applied? I live in the Northeast (Boston, MA). Thanks to all. I’ve been mulching beds for over 40 years and I’ve never seen any kind of an insect problem created by the mulch. No, it should not be removed. It should be loosened each year, then it breaks down and enriches the soil. What about cypress mulch so at the big box stores? We don’t have cypress mulch around here, but I’m sure it’s good stuff. Hi – Great explanation on the different types of mulches! I’m trying to find a company that sells shredded hardwood bark mulch online but can’t seem to see who has the real deal. Do you know any companies that sell this in the Chicago area? Menards, Lowes and HomeDepot all have brands that look like they are hardwood bulch mulch but after looking more closely, they aren’t. Most really good mulch suppliers have no Internet presence. You have to call around. Call landscapers, garden centers and excavators, they know who sells it bulk. Thanks MIke! I’ve been hearing “Mulch this”, “mulch that” for years and have never been able to figure out what it is until I watched your video. Everyone calls it something different but expects you to just know what they’re talking about 🙂 I really appreciate you sharing your knowledge! Growing up on a small farm, my mom was always getting mulch from my neighbor who was in the business. I’ve had the pleasure of hauling it every year. It seems like she has got different times every year though. I didn’t know that some mulches have been dyed for the color, though I don’t think we’ve used any of that kind. It’s like ours always had some kind of compost in it. Interesting stuff, thanks for the info. Can you suggest where I might be able to locate bulk tree bark mulch? I think I will need about 5 yards of more and certainly do not want to buy it in bags. I live near Dothan, Alabama and have contacted the closest GA Pacific factory thinking they may have ground up pine tree bark available, but apparently they burn it in their plant. You’ll have to call around, many of these dealers have no internet presence at all. Call landscapers, garden centers, even excavators, they’ll know where you can buy it. I very much enjoy your simple answers. Right to the point! Thanks Mike! Just bought 5 yards of Hemlock for the yard! Thank you so much! Very helpful!! Hi mike ! Thanks for the info on Mulch, it was most helpful. I agree, but it takes a long, long time to break them down. They are okay for a mulch, I use them a lot for mulching. But never as a potting mix. Over time they make great compost. I’d like to sign up for your email newsletter. Really liked the video you did on mulch! Dan, sign up at freeplants.com thanks! Please add me to your mailing list. Thanks so very much for the info. I see so many things I have been doing wrong. I answer all that I can but I am only one person with two businesses to run. I don’t do email, I assistant gets all of my Email. There is just now way I can do it all. However, I spend thousands of hours in our members area just about every single day answering question after question, offering detail advice. Honestly, that’s where my priorities lie. They have to, those people have committed to me, I need to be there for them. We do offer a test drive of the members areas just so folks know what it’s all about. A very helpful video. Much thanks! I’m glad I saw your video. I didn’t know about the difference mulches. Very helpful! Will take knowledge straight to GardenVille!!! Very helpful to select a type of mulch. Can I mix black mulch with my potting soil mix in my vegetable garden? I wanted to make a layer of black mulch underneath three inches of potting soil mix. Will that harm or help my garden plant roots? I have very good soil under the black mulch. I am thinking the mulch will hold more water and not dry out as fast keeping the plants and roots well fed. I wouldn’t put any mulch at all in a vegetable garden, or if I did I’d put it over the soil. Black mulch is more than likely dyed wood chips from ground up pallets. I live in Texas, and around here, they sell a lot of “no float” cypress mulch, and it is very economical. Have you seen any of that, and what do you think of it? My husband wants to discontinue the use of mulch and replace with a tiny gravel! Your thoughts? Gravel itself is pretty harmless. But if you put black plastic or weed barrier cloth under the gravel that can create a mess that you have to deal with later on. Laying down cardboard before the gravel would help and it wouldn’t be there to haunt you ten years from now. what about using soil conditioner for mulch ? The soil conditioners that I’ve seen are mostly pine bark mulch anyway so they should work fine. Question: I was told that a vinegar solution is good for Blue Berries; is this true and if true what is the mixture? While cleaning up a rough winter’s mess here in Northwest Ohio, I discovered my mulch isn’t as colorful and there are lots of pieces that have a shiny stain/varnish side. Thanks Menard’s for selling me 70 big bags of someone’s dining room table! Thanks Mike. I truly appreciate all the work you put into your videos and articles. Good job!! Loved your info on mulch. At last I understand the differences! i just potted up some roses and small trees and I put wood bark and chips in the bottom for drainage is that ok? Plus i use shredded cedar mulch on the top of most of my plants. Whattya think Mike? Thank you for your time, Margie Miller. Wood chips eventually become a good source of organic material, but it takes years before they can be considered something to be added to a potting mix. On beds they’re fine. Super interesting. I was going to buy shredded cypress. I an guessing that falls into the nitrogen-hogging wood mulch? I think shredded cypress is okay because it breaks down much more slowly, pulling just a little nitrogen at one time. Awesome info. Thank you for helping to educate us. I did not know that the wood chips etc can pull nitrogen etc. At Home Depot, they sadly had almost more rubber mulch stuff than natural wood in general and most was dyed anyway. Also rubber mulch must really stink on hot days, I would never purchase such a foul product. So I am agreeing with Jason. Margie Miller. For the lady who wants to eat mushrooms she knows nothing about.Answer: can you please add me to your will. Mulch I live near the gulf [SEAWEED]it works great. What about good old peat moss.I here they are using canfer mulch” new to me.Florida vegetable gardening is a whole new game from other states. We have a sawmill in Wisconsin and I am constantly telling people about how great bark mulch is. I was trying to find out all I could about pine mulch. I know pine needles kill plants and usually I recommend those who have needles to rake them to the center of the path first that they will be covering for a walk area in the woods. Then I recommend to buy wood chips for those areas. Flower beds we like to recommend bark mulch. Our bark mulch is mixed depending on what we are cutting that day. Our wood chips are sent into a separate pile. I know that black walnut kills plants but wondered about pine due to the needle issue but all my research says no. I found your site most helpful. Thank you. In many parts of the country pine needles are raked, bundled and sold for mulching. I don’t think they harm plants at all, and since it really takes them a long time to break down they make a pretty good mulch. Pine bark is extremely popular as a growing mix. Most of the nurseries here in northern Ohio pay crazy amounts of money to have pine bark shipped here from North Carolina to use in their potting mix. Many of them use it in a fairly fresh state. I used it the week I wrote my entry and am happy I did to try to cover flowers peeking out of ground. It has been too cold here and didn’t want them to freeze. Am so glad I did because we have had snow 4 more times since. The last was 2 days ago. Looking for spring here in Wisconsin. I understand pine needles have a lot of acid in it, so should you use in your flower beds as a ground cover? Pine needles to contain acid but they are also very slow to break down. I wouldn’t be afraid to use them. I live in Central Texas and have always used hardwood mulch in my flower gardens…..it is the very best. Thanks for a very informative video. Did you read about hugelkultur? The Germans and Austrians use wood piled up in a mound or hugel and covered with soil, which mound makes a bed in which plants grow really well and that from day one. I imagine the wood gets full of funguses that break it down for the plants without needing to secuestra so much nitrogen as bacteria breaking down woood might need. The mound of wood seems to feed plants and to hold a lot of water and so help them through the summer, so it is a system that contradicts the idea that wood will hog all the nitrogen making it a bad neighbor for plants. Help…our NC mulch yards mulch have ants that kill my flowers and scrubs every year. I just figured out the ants are the problem. How can I kill the ants before I put the mulch around my plants? Dare, not to be controversial, but I’ve yet to find a living thing in a load of mulch. The mulch in mulch pile can easily heat up to temps exceeding 150 degrees F. and not much will live through that. And ants should not kill your plants. Ants are just part of the natural ecosystem. I’d look into this more before you are convinced that this is really what’s happening. Shirely, just got to http://freeplants.com and sign up there. I cannot do it for you. It’s really against the rules of my Email software provider. Virgina, I think cypress mulch is great for mulching beds. I’ll send something on compost. Good idea. mike, we have fer bark out here and it decays pretty fast and it can be used as potting soil mixed or straight . Does fer bark have the same stuff in it as the hard wood bark? Nuts. I use mulch from Home Depot or Lowe’s when it is on sale. I used the mulch on my rose bed. What should I use on this area? Mike, before I read your article about the quality and types of mulch…I bought the brown mulch. I covered most of the mulch with window screen to keep the leaves off and it turned out great now that I have uncovered it. I ran out of window screen and used lawn material, well those places hidden by the lawn material have mold. What can I use to get rid of the mold, hopefully with a natural product that won’t hurt my plants? I have turned the mulch. I would like to buy hardwood mulch and mix it with the brown…would this work? what about pine straw mulch,I use it in my vegetable garden, good or bad? I live in South Carolina & pine bark mulch is plentiful so we use it a lot. Since it was not included in the video, what do you think of its use? Hardwood mulch is available at Lowe’s & Home Depot so I have used it but pine bark is the most plentiful. I even use sifted pine bark mulch to get pieces around 1/8″ to 1/4″ to mix into bonsai soil with small river rock & turface. Makes a great bonsai soil mixed in the proper proportions depending on the plant or tree being bonsaied. Your website is great. I’m trying some Japanese Maple cuttings in the sand container method recently demonstrated. Thanks for your information. I was also wondering about ceder mulch. I do not believe it was mentioned. Hi Mike, I appreciate all the information, and I looked to see that you live in zone 6. I wondered, if I live in zone 5 and planted a fruit tree that was grown in zone 6 and the fruit tree tolerates temps from say 6 through 4 zones will the tree be as hardy as one grown in my zone 5 ? Hi Mike. I have a 6 or 7 pine trees in my yard. I use the pine needles that fall from the trees for mulch. What is your opinion of using that. Hi Mike, I use the double ground bark mulch and like you did say that it decomposes alot faster. I did use some cyprus mulch a few years ago for my mom and I was wondering if that was a good choice or not. Thank for all the great advice. Mike, you didn’t mention rubber mulch, made from recycled tires. As a consulting arborist here in central Florida, I get many clients asking about this stuff, which is popular down here. I tell them not to use rubber mulch because it adds no nutritional value and keeps the soil underneath way too hot during the summer. Good for controlling nematodes in the soil, but really stressful for plant roots. thank you Mike, good to know. What do you think of stump grindings? I know a tree man that has offered them to me. I seen them and they look good. It’s a good information Mike. 3 yrs ago we have 9 trees cutdown in out backyard. We had them chips and spread along our fences to smother weeds, last year there were lots of mushroom growing on them. They look edible its very tempting to harvest them. Just remember, when mulching young plants, do not mulch to deep. If mulch is to deep, it causes the mulch to heat up and it can ‘burn’ and even kill your young and small plants. When mulching young/small plants, I have found it helpful to first cover the area around the plant with a few layers of newspaper and then put 1-2 inches of mulch on top. The newspaper prevents weeds from growing and the mulch is thin enough that it will not over heat the plants. I have recently moved to Ky. someone told me wood ash is good for a flower bed. Do you have any comments? thanks. Where’s the best place in GA to purchase Moso bamboo and black bamboo? I really like your tips. I live in south Louisiana, do you have any tips on pruning fruit trees, grape vines, berry bushes, etc. I use the free stuff from the county dept, I can take my trailor there and they will even load it for me. It seems to do great for my area, breaks down, blocks weeds and my plants grow great, I couldn’t ask for more. I would like to receive gardening tips. Hi Mike. I found your film explaining the difference of all the mulches was very informative. Not knowing better about 5 years ago my neighbor had some trees cut and everything chipped up. I thought I was in heaven as I took some of it to put around my high bush blueberries…big mistake. I don’t spray the blueberries and that first year I had so many different bugs on the bushes it was difficult to harvest. I purchased some dark twice shredded mulch for the flower gardens and big patches of yellow fungus grew on it. Is the fungus a common problem? Hi, Mike, love your site and e-mail messages. Add to your tips about mulches, I used a ‘brown mulch’ got cheap from Home Depot – and wound up with the most disgusting mushrooms you ever saw (look them up) called ‘stinkhorn mushrooms’ that cropped up everywhere. Had to pull them out along with a bunch of my herbs and plants. Never again. Will be more careful about buying mulch in the future. You advice is perfect!! Thank you. I like all the information Mike provides. It’s informative enough for a Newbie to learn how to use his/her land to make a living growing things that will help their local communities and economies. What more could a person ask for? Mike, the information is great, but I have three items to add. Pine bark mulch in the South tends to harbor roaches and since mulch is often used close to the house it encourages roaches to enter the house. Also, some ‘compost’ is not really composted well and will pull nitrogen from your plants. And I have seen some colored mulches who’s dye washes off and colors the sidewalks and driveways after the first few waterings. All are good for their purpose – just need to know all the drawbacks. Just wondering if mushroom “compost” is really beneficial in the garden. 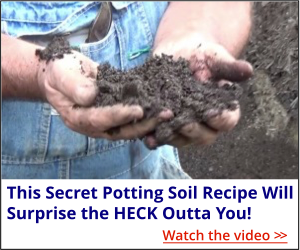 I usually till in about 2″ of it every spring and it does seem to loosen up the soil but is there any nutritional value? Thanks, wow,i’ve done some boo-boos! This is HUGE help! Mike, Thank you for all the great videos and information that you publish. I have learned a lot from them and appreciate all the time and effort that you put forth to do this. We only have Fir or Hemlock available in Oregon. Which is best? For my shrub and flower beds, would I be better off without mulch? I am located in the NW Chicago burbs. Like Anis, I lay 3-4″ to curb weed growth, however, it doesn’t work well and find myself constantly pulling or spot spraying weeds. Last yr I used 3x ground whole trees- bark, stumps, logs. The company get it from their tree service (roadside, yards etc). After watching your video, I will probably go back to hardwood bark. Problem is it cost 2x more and lasts 2 yrs tops. I use flower and shrub granules and recently installed a fertigation tank w/a sprinkler system so nutrient depletion is not much a concern. Also, assuming I forgo the mulch, to control weeds how do you feel about propane burning? Weather & fire conditions permitting of course. Mike, You are a cornucopia of information. It just fills and overflows. I find myself taking notes when you post a new video. Thanks for taking the time to share your experience with us all. You are a gem! I have made a notebook of my notes for George, my husband, and he loves sitting with me listening to your posts. This mulching question is one we’ve had for a couple of years now. We will never use anything but hardwood mulch from now on. It makes the most sense. Thanks again for taking the time to teach us all. Hey Mike, Love your website. You didn’t say anything about newspaper mulch; shredded or layered. any input? Thanks for all your wonderful information.I was wondering about the rubberized mulch. I use it only for decorative purpose in my beds, is this okay? Hello Mike! Have to ask you your own feelings about useing rubber mulch. I helped a friend put down black gardening paper, then brown rubber mulch. We are in Florida and we knew enough not to but the mulch up to the shrubs as it would get hot.What do you think! Can’t wait for an answer. Hey there Mike, Spring has sprung down here in NC and unfortunately so has the wild onions, right in the middle of almost every plant I have. Any suggestions? Mike, You didn’t mention cypress mulch. We use it on our path through the wooded area because it doesn’t become scattered by the wind and rain. I’ve heard that it deters insects but don’t know if that’s true. What do you think? Living in the Colorado River area of central Texas requires garden soil development because of the sugar sand. My question is: May I use the fallen bark from an oak tree (died of natural causes) to make fertile soil? Thanks for the important mulch video. Now I know exactly what to look for – and why. One thing you neglected to mention that I learned. The free mulch from tree services can contain disease. I made the mistake of mulching my trees with some of this. I lost a 30 ft tall willow and a 5 yr old lovely red birch because of it. Thank you for clarifying the differences among the various mulches. We have access to Mint crop residue. It is available after the mint oil is steamed out. Farmers here use it abundantly on summer fallow. I need to know what is it’s value to crops and does it harm earth worms?? I would greatly appreciate any and all information you may have. Thank you SO MUCH for this easy-to-understand lesson on mulch types! Definitely going with all hardwood now. On another note, we have a huge problem with “voles” in our yards. They are destroying our front yard (our dogs pretty much keep them out of our back yard) and they chew off the roots of the bushes and plants I put in. They have made really big holes in our lawn, even places where dirt is caving in. I am not a big proponent of poisons, and I’m an animal and nature lover but we have got to get this under control. Do you know of any way we can get these little creatures to leave? Look on youtube for a video about voles and castor oil. What do you think about pine needles as mulch? Also, I’ve had such bad problems with termites, I’m thinking of using stone in my beds next to the house. Pine straw is a favorite mulch in the southeast. But, it is VERY flammable, full of resin, and burns VERY hot. We get a few cases every summer of house damage due to pune straw ignited by a cigarette or ember from charcoal grilled or… Plus it will kill your shrubs if ignited. Plus it will make your soil very acidic. I start my day by reading your messages. Your article is well written and very good. The importance of mulch in not yet understood by many farmers. Good to have your guidance. Well written it isn’t. Contains some good info, sure. I have a lot of long needle pines on my lot. I use that to keep my weeds under control, buy I am hesitant to plant a food crop in the beds because I am not sure what it the vegetables would absorb from the soil having been mulched with pine needles for many decades. If you have these pine needles, I use them around my strawberry plants and they love them. Just to let you know that certain pine trees you should not take the pine needles out from around there trunks to far because it is a natural thing for the pine tree to grow and be healthy? It is a nature reason. I remember reading this in the past. Correct me if I am wrong? I doubt that collecting pine needles from the base of a pine tree will affect the tree at all. Hey Mike! I definately learned alot from this, thank you! Living in NE Mississippi in a loggng town, I’ve got easy access to pine mulch & hardwood mulch. Especially since an f5 tornado cleared 90% of the timber here last April. Ive got many piles of ground up pine & oak stumps everywhere. I cannot wait to get started gardening this year! Very informative video, I like it. Didn’t know ground hardwood bark mulch is good for plants. It seems this would be a good addition to a compost pile to help aerate it and thus speed up composition. Pretty hard to find hardwood bark mulch around here. Do you think pine bark chips run through a shredder would be comparable? Hi Mike, I have been using mushroom manure. What is your opinion for using this as mulch? I always use Cedar mulch because I have animals and it keeps fleas and some pests away. It also smells really good. I see Ceder bark mulch in my garden center, but it is not as fine as the bark mulch you show. This stuff is quite chunky. Is that any good? I want it to put around mature Rhododendron bushes because the people that came to blow the leaves last fall also blew away all the ground cover, so I have bare exposed soil around everything now. Mike, I really enjoy your widsom and wit about gardening. I live in Springboro, which is between Dayton and Cincinnati. I have a year old rose bush, planted in a pot that needs to be trimmed. I feared doing it in the fall thinking the winter was going to be ‘normal.’ The bushes have tiny leaves growing and wonder if it is too late to trim it. By trimming I mean shaping it. Thanks for sharing your wisdom. Keep up the good work. I am anxious to get my ‘bibs’ on and get down and dirty. Best wishes. What to think of using grass clippings as mulch? Seems like they would have lots of nutrients. Normally I let the cuttings stay on the lawn, but when the grass is growing fast (or I miss a week) I have to rake or blow off the excess. I have used this as mulch around the ornamental trees and shrubs beds.It mats and keeps the weeds down. Grass clippings should be added to your compost…..they pack down really tight if they get wet and will mold in a garden. Hi Mike! I’ve been following your sites for about a year now and I just love all the information you give out. You are such a down-to-earth guy (no pun intended) and give such simple, sensible information. Regarding the mulch – great video and very accurate. A note on the colored mulch – people need to be careful when using this. If they have a load dumped on their driveway, they need to make sure they get it used up before it rains or they will have a nice big stain to look at! Also, I hate the died mulches because if some of it wanders out into the grass, it is so ugly. Also, the died stuff fades too fast and looks pitiful. If they use the hardwood bark, it just kind of disappears into the dirt under the grass. I too use it in a soil mix. It’s great! Everything you said about it breaking down and improving the soil is so true. Here in Fort Wayne, Indiana we have that wonderful clay, which I’m guessing you also have. I use anything I can to break it down. I also have a little trick for my compost. I just make big old piles in my boxes (4×8 foot, 12 inches deep) in the fall and mix a little dirt between the layers. In the spring, I just plant my stuff on top of them. They love it, and are fed all summer. Anyways, thanks for being you! I really look forward to all of your information. It confirms most of what I’ve picked up over the years (I’m your age) just by messing around. I garden full time for other people, and it’s the blessing of my life. I’m not happy unless I have my hands in dirt. Well, I’m 63, and I have been gardening since I was three. I never knew this! I can’t believe, that this was not in the 100 books I have on gardening. Thanks a lot. This past year, I asked my favorite nursery where they got their dirt — I got some. I also planted $500.00 of tulips and daffys. I am eagerly waiting for my garden to start blooming this spring! I do enjoy your posts. Hi, Mike; i get a lot of pine bark mulch here in atlanta, but my purpose of using mulch is to prevent weeds. I will spread a layer of around 3 to 4 inches thick around a tree and about 3 feet in dia to control weeds.I hope it is o.k. What about cedar mulch? Does it harm vegetable gardens? Sense I’m from nc just wandering how fine pine bark should be ground too? I live in in a rural area and use all leaves for compose. How good is rubber mulch? I know it has no nutrients. will it pull from the soil? Where do you weigh in on hazelnut shells? I live in the Pacific NW (you know… extremely wet here, also have dense clay soil.) I put some hazelnut shells as a cover around my blueberry bushes last year and am SOLD. Not only is the drainage much improved, but pulling the weeds is so easy. I like only having to add them every 5 years (not looking for them to break down so much as drain well.) I’ll be adding them everywhere this year! My only concern, do they pull nitro too??? It used(?) to contain heavy metals, etc, but aren’t these ingredients limited, or not part of sludge now? What of shredded newsprint, or color-magazine shreddings? Great video on mulch. I learned a loy. I live in Savannah, Georgia, and the mulch of choice here is pine needles. It is cheap and is available anywhere.I have lived about three years and I have heard that pine needles do not make great mulch. What is your read on this? Where in Ohio do you live? I find everything you post so interesting. I live south west of Shreve, Ohio, which is SW of Wooster. Thanks for all the tips, and very interesting emails, and videos. We are located northeast of Cleveland. Glad you like the information! i havefamily who live at shreve. i also wonder where mike lives i am in southern ohio. I truely believe Hemlock is the best Mulch of natural wood heratige. It breaks down nicely each year to fine black organic soil. The hardwoods seem to layer, rot, and do not break down fast at all. It may be good in very dry open areas but for nice groomed house gardens, Hemlock is my prefered mulch-looks great and smells wonderful for a long time. i’ve been very discouraged with mulch as of lately for the ants and insects ( mostly ants), how does the shredded hardwood bark mulch do with the ants? Thanks for the tips. I use the ground up trees mulch for paths, like you said, it’s great for that and lasts a long time. Here in the Pacific Northwest – muddy paths are a big issue. I’ve also used the paper from documents that I’ve shredded for paths and around plants to keep the weeds down. Makes sure the information is safe. 🙂 Can’t wait for gardening season to start in a few more weeks! Thanks for continuing to do a great job. I always learn a thing of two with every email from you. One more mulch you might want to address is cocoa shell mulch. Looks beautiful, smells heavenly for a while, decomposes well, BUT it should forever be outlawed. It also smells good to dogs. Unfortunately, it can severely debilitate or even kill your best buddy if he eats it, and boy, do they love to eat it. I haven’t seen it around for a while. If anyone knows of it being available, please spread the word about its toxicity to dogs. Thanks again Mike. Mike this was really very helpful. I always use the Red beacuse the color eally stands ot but if it has no value I will not use it anymore.No one really explains the different knids so now I’ll try to find Hardwood mulch. Thanks for the Great tip. I’m sure alot of people appreciate this information. Mike, what about Cypress mulch. Is it good to use? Did you get a reply about Cypress mulch? That is what I use, too, and as far as I can see on this forum he never addresses it. If you learn anything Tammie, please let me know, too. To the best of my knowledge Cypress mulch is fine. Never really used it but I’m sure it’s fine. I want to know too. I dislike its color and chunky pieces. It breaks down slowly. Very interesting about mulch. Thanks. Some observations relating to brown mulch on moderately well drained loamy soils in NE OH. Over a year Spring – Spring; 3″ of brown mulch is pretty well broken down. I do distribute (by hand) some regular garden fertilizer over the mulched beds – to partially compensate for the nutrient demand. After application, I spray the mulch with my garden hose to enable the pieces of mulch to “knit together” to greatly prevent wind/water loss. If needed, I will break up any area of mulch that sheds too much rainfall. Thank-you Mike for all you do! You didn’t give your opinion on using pine straw as mulch. I’d like to hear what you think. Thanks for the mulch article. What do you know about the free mulch offered by a county? We have this service here is Fairfax, Virginia. Is this mulch usable, you think, for adding nutrients to the soil? So where do I get the hardwood bark mulch? Another reason to be wary of the free wood chips from tree services is that often the wood comes from trees that are being cut down because they are dead or dieing as a result of disease or infestation. You run the risk of possibly spreading this in your landscape. You could inquire first, but then you have to trust the tree professional at their word. Thank you so much for explaining the different kinds of mulch. I always bought the red mulch because it looked good. No more. Also this past fall you talked about dead spots in your grass and what you did about it. Please send that info again. I have dead spots already this year. Thanks again. Keep up the good work I look forward to your e-mails. I live in WV. Thanks for all the great info you provide. My husband and I are looking forward to spring and the info on mulches was great. We always used the dyed or free tree trimming mulch and now we will have to look for a mulch that contains bark. Keep the info coming! You forgot to mention cypress mulch and cypress mulch blend. Also preen mulch which contains weed preventer. And then there is rubber mulch. I believe Mike was talking about adding nutrients to the soil, when you talk about rubber mulch you are talking about polluting the soil. I agree on the rubber mulch. Just one more thing in the soil that never goes away. What about using rubber mulch? It’s great to “go green” by recycling, but I am not sure if using recycled tires as mulch is a good thing or not. I have thought of using it, but is rubber mulch good for plants since it does not break down? If not, would using this method actually be considered “going green”? Any advice would be greatly appreciated. Rubber mulch is very bad tire companies from what I read would get rid of tires in third world countries and that got to costly so they thought of selling it as mulch and making money off. I am all for making money and as much as I can, but not at any cost, it has a bad smell when in the hot sun and it poisons the soil it is just the opposite of going green. Just remember you have the internet do your own research. What about cow manure either raw or processed? I have used the processed stuff, sold in Home Depo, Lowes etc. As long as I mix it with sand (all we have in Florida) my plants have done quite well. Right out of the bag, I think it’s too strong. You have to make sure that it is aged first!! Very helpful. What about cypress? Mike – here in Pittsburgh, we have hardwood shredded mulch which I have used for years. But – it doesn’t say hardwood bark. Is this the same thing? Thanks! I to live in the Pittsburgh area in Beaver county can you share where you get the hardwood bark mulch. I would think hardwood bark mulch would be pretty easy to find around Pittsburgh. The mulch that we use here in Ohio comes from Pennsylvania. Most of it anyway, some from southern Ohio. Thanks Mike- This was very helpful information. We sure do appreciate you sharing! thank you very much for the lesson about mulch, it was very interesting, now I know what kind of mulch to use on my yard. GOOD JOB WITH THE EXPLANITION ON MULCH. Thanks for the information on mulch,Mike. I have a huge oak tree that blew down during Ike and has lain on the ground for several years. It has rotted and the bark pulling away and has a black mulch under it that is moist and just like dirt. Someone told me that if you used too much,it would not let the water get to the plant roots,so thought I would get your opinion before I use it. The tree is very rotten beneath the bark. I filled a 5 gallon bucket full in just a few minutes. What is the best way to use it? Basically what you have is really good compost. You can mulch with it, or you can plant in it. Good stuff! Good information, however, hardwood bark mulch is hard to obtain. I’m in NY and buy my mulch in Home Depot, Lowe’s or garden centers. Not for a Garden, but to Cover Grass.. I also Plan to Add 2- Crab Apple Trees at 20 ft Spacees and Nothing Else.. Not a Garden..
2. Spray Weed and Grass Killer on the Short Cut Grass. 6. and a Top Dressing of 1 Inch of New Mulch every couple of yrs..
Will this Plan Be Good Enough? Landscapers want over $800 to do this Job.. I called my Local HS to ask if any HS Kids Wanted to do it and Give them $100 each, but No Takers .. I like it all except the fabric underlayment. In my “very experienced opinion with the stuff” all it will do is lighten your wallet and aggravate you until the end of your days. Use newspaper or brown paper bags. They’ll rot and won’t haunt you forever. But truthfully, if you are going to spray the grass first, all you need is mulch. When you spray, but the grass short, then water it and give it a few days to start to green up. Then let dry, spray really well. The grass killer works best when the grass is actively growing. That’s what makes the herbicide translocate through the plants to the roots. also keep in mid that lawn mowers are not made to scalp lawns. Such activity risk most definitely will ruin the plate at the maximum and at the minimum make re-sharpening a more time consuming job. Do as Mike says – cut at normal height or maybe a notch lower to allow plenty of leaf to absorb the poison. When the area you have sprayed has browned, if you have a mini tiller make a pass or two chewing up the soil surface thereby breaking up the underground root systems. rake smooth but do not roll it down flat – cover with 6-8 sheets of newspaper and then put your mulch or other ground dirt., manure, humus etc. Personally I don’t like using any herbicides unless it is a severe infestation. I would just use the poison along the outside edge of the area you are working on – maybe 12″ inside the outside edge of the area then when brown, hit the entire area with Mantis – tow passes perpendicular to each other – level off – remove any large stones and coder with 8-10 sheets of newspaper (excellent barrier item or 3-4 sheets deep of brown bags. wet it down to help make it easier to flatten down and then cover with whatever you are using for new dirt or growing medium – I like to layer in some well conditioned manure along with some good compost out of the compost pile. But us folks here in Northeast have to compensate for shorter growing season by providing out plants with a better medium to maximize the growth of grasses and annual/perennial plants and all season bushes/trees. Great advice Alan, thanks for sharing.